Players will without any doubt enjoy an amazing experience in Varna, one of the best sunny beaches in Eastern Europe, at the end of June. 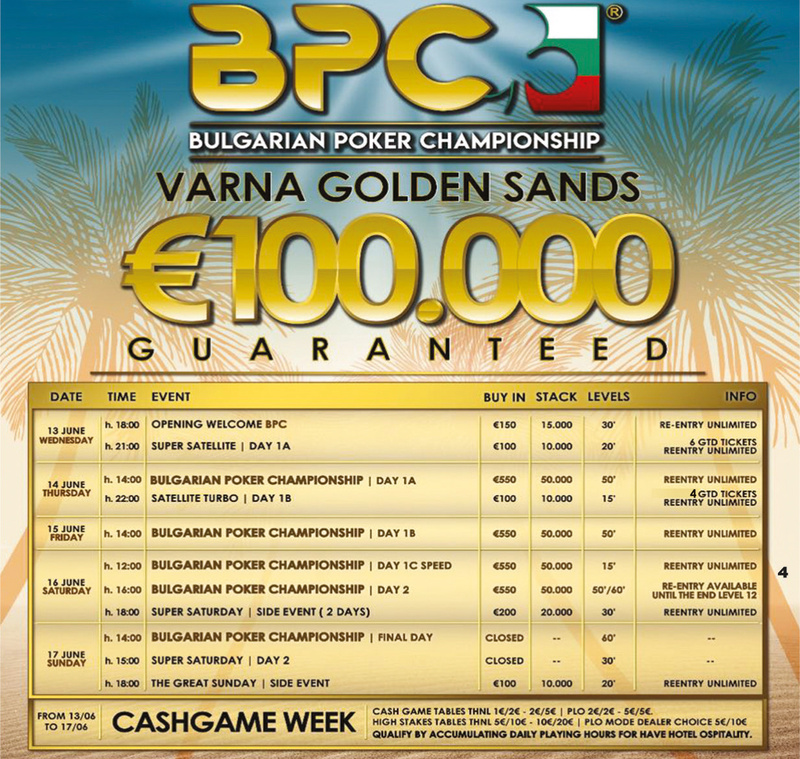 Over 5 days of poker, with a €550 IPC Main Event, the €300 UDSO Cup, PLO side event, bounty event… there will be action at all times for all players. When 2 established brands of the poker scene partners, players can benefit from bigger fields and ease to qualify for those tournaments. “Unibet DeepStack Open is delighted to join forces with IPC, one of the most recognized middle buy-ins events in Europe! Varna with its sunny beaches, and the hosting of the Grand International Casino will also for sure provide an amazing experience!” said Alexandre Henry, from UDSO. Roy from IPC: “We are delighted to host UDSO for the first time in our tour. IPC been around the European poker scene for almost a decade, but we didn't host our tour in France - yet... so this is a great opportunity for us to meet the French poker community. Our events in Varna had been very successful, with it classic combination of high-end poker room, state-of-the-art hotel, trendy sea-shore and amazing weather. the atmosphere will be outstanding!" Krasimir Tokushev, from International Hotel Casino: "We are excited to welcome back to Varna our friends from Unibet, who will be joining the hugely successful IPC event in June, with its Unibet Deep Stack Open. We have witnessed more than 400 participants at the last year's edition, and expect even more at this year's June poker festival at INTERNATIONAL Hotel Casino & Tower Suites in Varna, Golden Sands Resort." We had more than 300 players from Isral. We had one of the biggest poker events in 2017 with IPC. The property features a mix of 325 deluxe, superior rooms and suites, with stunning park and sea views. Guests can enjoy our extensive Spa services, 24-hour Casino access and entertainment, dedicated Concierge team, Shopping center, Kids Club, Wi-Fi and complimentary car-park facilities, guaranteed to make your stay magnificent and memorable.